I am sorry to report that the Washington Glass School's much loved glass studio coordinator passed away yesterday morning. 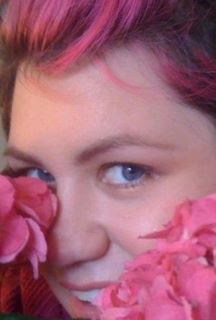 Only 28 years old, Nicole succumbed to a very aggressive ovarian cancer. Our Nicole was a trooper to the end, and we understand that she seemed comfortable as she passed. Nicole was integral to the Prince George's County Courthouse public artwork sculpture. Nicole coordinated many art projects while working in the Washington Glass Studio. Here, Nicole is cleaning a just annealed glass casting that was part of the Vanderbilt University Critical Care Tower. 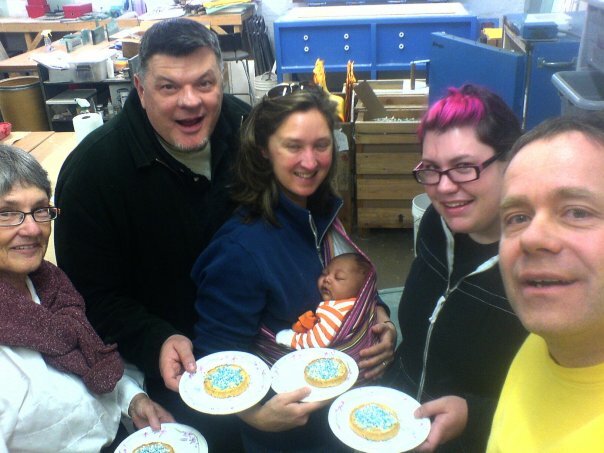 Nicole celebrating the arrival of Margaret Boozer's baby in 2009 with the Dutch sweet "beschuit met muisies". Nicole shown here plugged through the messy part of studio work. Nicole was an instructor of classes at the Washington Glass School. Nicole is hown here with artists Cheryl Derricotte and Dave Cook. 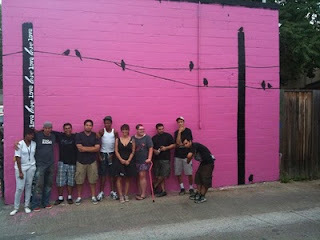 A mural based on Nicole's tattoo was painted at the Fridge Gallery in Washington, DC. in 2010. Services will be held Saturday at 11 am at the Oakton Unitarian Universalist. To the left is the most reproduced photograph in human history. It's an image taken by Cuban photographer Korda (1928-2001) of Argentine mass-murdering guerrilla icon Ernesto Guevara de La Serna Lynch, known to most of the world as Che and to many Cubans as "El Chacal de La Cabana." 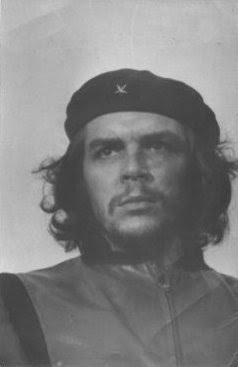 Che's photo has been reproduced in billions of T-Shirts, posters, postcards, cigar labels, vodka labels, etc. as the West's all-powerful ad machinery, driven mostly by an mystic love of all things Che by Italians and the French, has iconized this image beyond's Korda's wildest expectations (and until the very end of his life, he didn't get a penny for it, as in Castro's workers' paradise, the state, not Korda, had ownership of the image). Would you be surprised to learn that the very first vintage photo of Che; the very first one; Korda's own personal print; the mother of all subsequent images of Che, has found a home in the DMV? It does, living alongside 17 other vintage Korda photographs acquired directly from Korda's daughter soon after the legendary Cuban photographer died.